St John Links offering information for your US Virgin Islands vacation. St John Links helps you plan your special Caribbean vacation to our beautiful island of St John – and gives you the info you need while you’re here! Returning to paradise? We have tips on what to do when you get here, where to stay and “things you need to know”, such as how to get around, and how to find those “everyday services” you need while visiting paradise. First-time visitor? Start here! Our information page includes information on Island Manners, Important phone numbers, Western Union and more. Our weather is often picture perfect; we are a diverse group of people and have some very special places of worship. Just in case, hospital, clinic, and other medical information are listed here, along with other important phone numbers. You don’t need a passport to come here if you are a US citizen – we are part of the US. But if you need passport information, we’ve also got that covered. Staying for a while and hoping to volunteer? Our seniors love the company or join the volunteers who help keep our National Park clean. Make a difference! Thank you to Shelley Gorny Schoenherr for allowing us to use your art on St John Links. Choosing to say “I do,” for your island wedding? Our weddings page will give you information on our favorite officiate, Jewelers, Caterers, Wedding Photographers, Wedding Musicians, where to get your flowers, a massage before and after, wedding gifts for your party and rentals that allow weddings. Think of this as a site for visitors who often end up staying awhile! Looking for a St. John Virgin Island rental home, vacation villa or intimate Caribbean cottage, in Cruz Bay or Coral Bay? Thinking about saying, “I do,” in an island wedding? How about a relaxing day sail or an exciting sports fishing adventure? 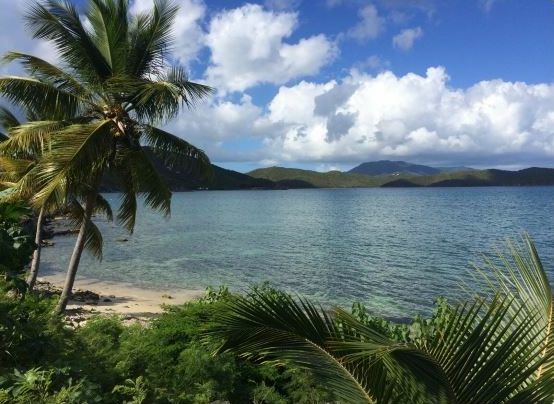 St John Links has it all – boat rentals and charter boats, snorkeling, world-class sailing, fishing, and horseback riding. And, when you need a break from vacationing, we have some of the best massage therapists around! St. John, the most natural and beautiful US Virgin Island, is home to world-class beaches – a true American paradise. And our natural beauty doesn’t end there. We have a wide array of tropical foliage and migratory and endemic birds. Why wait to get here to find out more about our island? Check out books written by local authors; our map and ferry info will help acquaint you with how to get around. Perhaps your trip will include a visit to some of our great hiking trails, a snorkeling tour, or just driving around in a car rental? Hey, it’s your vacation! When it comes to food, St. John restaurants offer fine both fine and casual dining. Maritime Injury Center’s is the most comprehensive and accurate informational online resource for maritime workers. The goal of the site is to help educate workers, including their furthered understanding of risk(s) related to maritime injuries like an electrical failure, chemical exposure, hypothermia, and more. This also includes detailed information on rules/regulations, procedures and laws as they apply to the Jones Act. Three-quarters of St John, US Virgin Islands has been preserved as a US National Park. If you feel your life has been on fast forward, this is the perfect place to “push the pause button.” Relax and let the beauty of nature surround you, the trade-winds bathe you, and the hummingbirds delight you as your stress melts away by the sea.